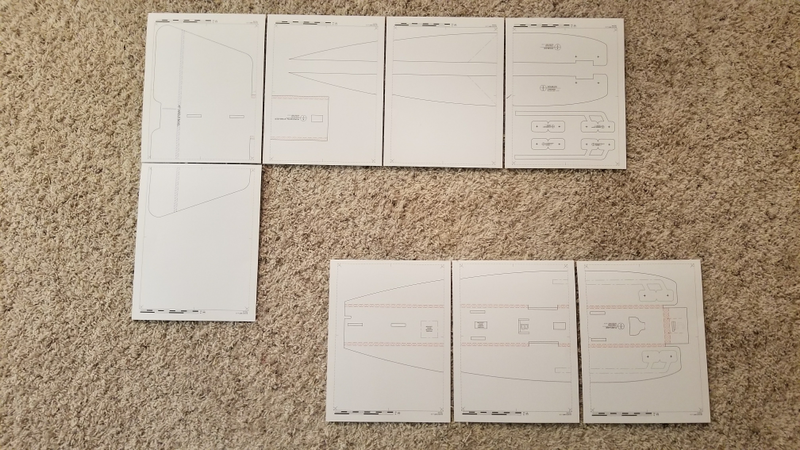 The plans for this plane have been done for over a year. It's probably about time I build one and release them already. Nothing too special, just the swappable size version of the Baby Brit. Very similar build and flight characteristics to the Bloody Baron (big surprise). I will likely print and tile plans this week and start the build log. Hopefully the weather will cooperate and I can wrap this up before the white stuff starts to fall here. I'll be using this build log to help write a new article for another method of creating templates as well. This time using card stock, which saves a lot of time and eliminates the need for the messy spray adhesive. Stay tuned. 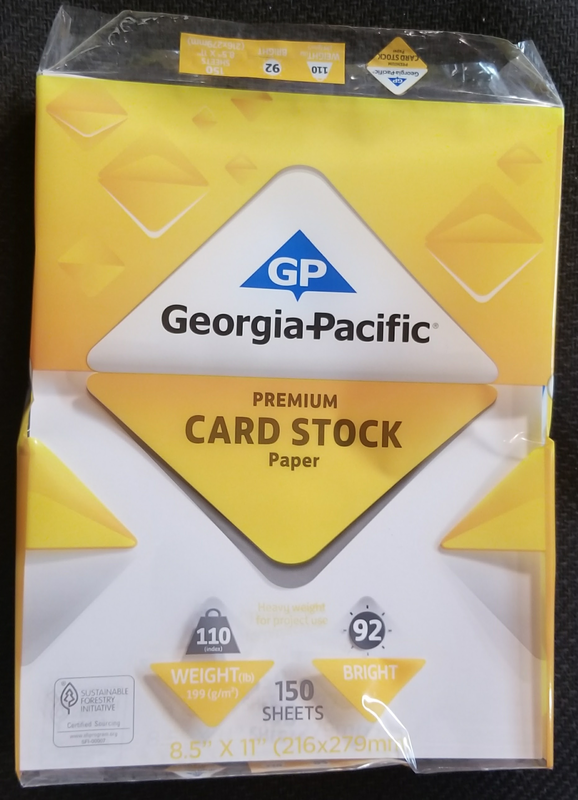 This is the card stock I like to use. Inexpensive and readily available at Walmart. 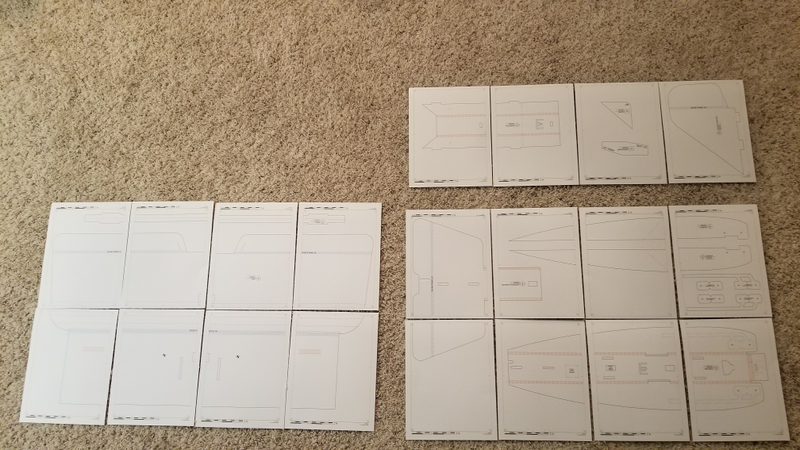 Beta plans are printed and ready for cutting and taping. Breakout of pages that will need to be tiled together from Sheet 1. Cool! I built both the baby baron and Brit a while back and those ended..... badly (baron stuck in a tree, destroyed in the retrievial and the Brit flew terrible :black_eyed . Stick a c pack in this thing with a 4 cell and it'll be a little rocket!! 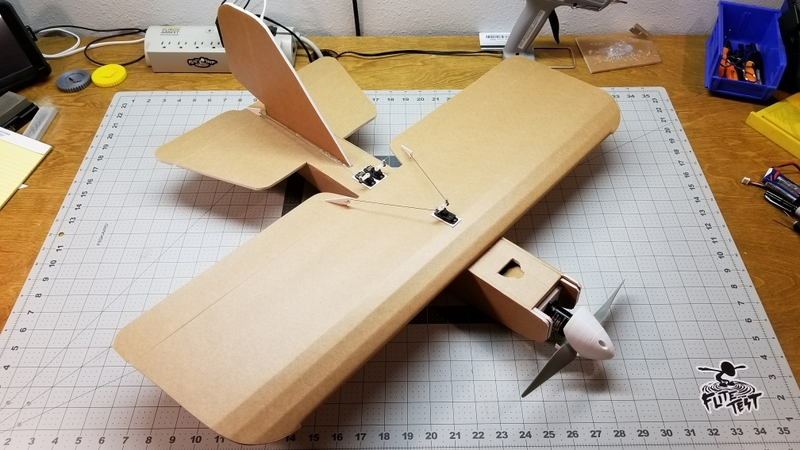 This looks to be another fun build and flier. Subscribed. She should be ready to fly by the weekend! Electronics installed. Need to add a receiver and setup a program on my transmitter and she will be ready for maiden. I'll hopefully post some more on the build and process a little later this week, but here she is, almost ready to fly. Gonna have to build this. So far, the Bloody Baron is by far my favorite airplane. This is comparing to my Timber, Bushwacker, Explorer, Slow Stick, Scratch Ugly Stick, and several of my own creations. I hope this one lives up to it. Just completed my baby brit and it and the bloody brit look awesome! Making some minor tweaks to the plans. Hope to maiden the prototype this weekend. Just need to install the dowels for the pod and setup the program in the Taranis. I'll release the files for the the 3D printer combat spinner with this design as well. Maiden flight went flawlessly. Plans coming soon. Awesome! Great Work! I can't wait to build it & print the parts. Side question - what is your Point of View camera setup look like? I tried that once with a RunCam HD but had the image framing way off so I assumed there was a better way. I guess I just need a little more trial & error to get everything lined up with the fit of my hat. Thanks Dan for the reply and amazing design work you do! Free plans added to first post. I will be updating the description and specs, and adding build instructions soon. In the meantime, check out the Bloody Baron build log, as the instructions will be nearly identical. Sooo.. I kinda have to ask now, what does XF stand for?